Marvel Studios and Walt Disney Studios is hyping Spider-Man: Homecoming and they are doing so by releasing the third ‘Homecoming’ trailer together with a new poster featuring the villains and heroes in the teenage wall-crawler’s life. The film stars Tom Holland, Robert Downey Jr. as Iron Man/ Tony Stark, Marisa Tomei as May Parker and a whole lot more. They also released a new trailer with a couple of new scenes including the one where Peter gets to play around with the updated Spider-man costume Tony designed for him. 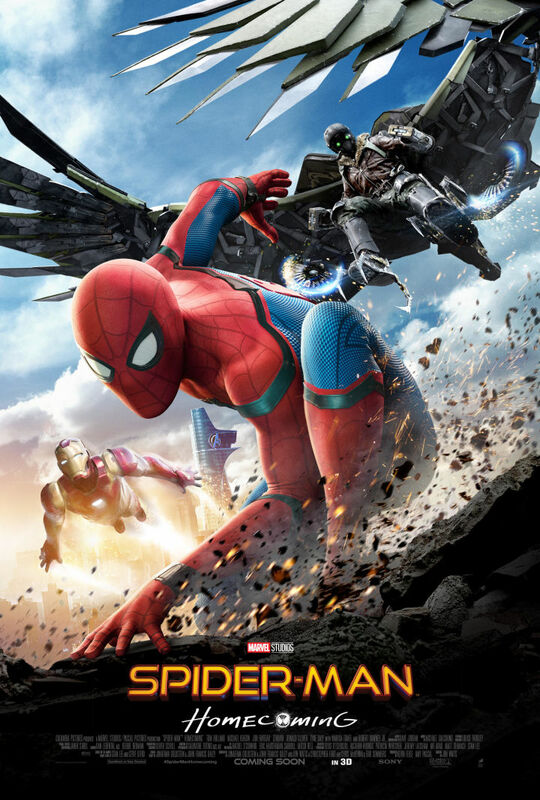 Directed by Jon Watts and produced by Kevin Feige and Amy Pascal, the screenplay is by Jonathan Goldstein & John Francis Daley and Jon Watts & Christopher Ford and Chris McKenna & Erik Sommers, based on the Marvel comic book by Stan Lee and Steve Ditko. “Spider-Man: Homecoming” is distributed in the Philippines by Columbia Pictures, local office of Sony Pictures Releasing International. Next story POLL: Liza Soberano Could be the New Darna. Good or Bad?